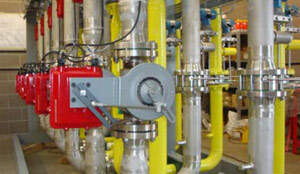 Oxygen systems provided by Global Combustion are supplied to meet the specific needs to that customer. 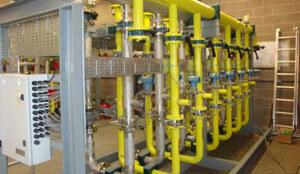 Construction can be made from either customer specific fabrication and assembly drawings. 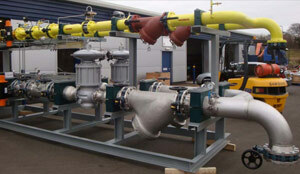 or Global Combustion’s own designed fabrication and assembly. 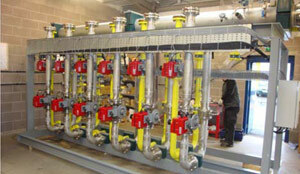 All main pipework, flanges and fittings are 304 Stainless Steel. All fabrications hydro-tested to 1.5 x maximum operating pressure, or 8.0 barg, whichever is greater. Oxygen fabricated pipe, cleaned and degreased in accordance with BOC Oxygen Service Specification 50000810.